Sawyer Wildgen, founder of Cleen Detailing. Kingston, Ont. 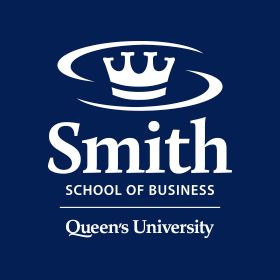 – A Smith School of Business Commerce student’s idea to reinvent the car detailing business has won top prize at the Paul and Tom Kinnear Business Plan Competition. 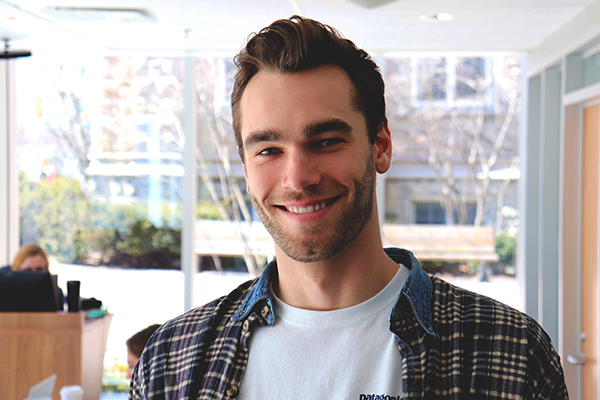 Sawyer Wildgen, Comm’19, is founder of Cleen Detailing, a mobile car detailing company. Customers make an appointment online; then one of the company’s car detailing experts shows up at their home or work to clean their vehicle. “Our customers appreciate the simplicity–the ability to book online, our reasonable prices and friendly service,” he says. The Paul and Tom Kinnear Business Plan Competition promotes entrepreneurship among Commerce students. It was established in 2008 by Tom Kinnear, BCom’66, LLD’02. Teams must have at least one Smith Commerce student as a member. The winner receives $5,000 to further develop their business. Wildgen intends to use his prize money to write a franchise agreement, develop franchisee-network software and for online advertising. Lunar is a local shopping rewards program. Members earn points for buying at participating stores in their community. The team: Sam Shore, Comm’20, Copeland Lucas, Comm’20, and Connor Crowe, Sc’20. SitterNextDoor aims to modernize the babysitting business. An online platform allows parents to find babysitters in their neighbourhood who fit the parents’ specific needs. The team: Jenny Hua, Comm’22, Andrea Hersovich (University of Ottawa) and Jenny Shen (Carleton University). The Positivity Project lets people send handwritten cards around the world. Cards are created, handwritten and shipped through the Positivity Project’s website. The team: Aaliyan Khan, Comm’22, Claire Mikuska, Comm’22, Grace McColl, Comm’22, Matt Joyce, Comm’22, Lily Irwin, Artsci’22, Randy Shao, Comp’22, Zion Oginni, Comp’22, and Emilie Leneveu (Memorial University). Finalists were evaluated by a jury of four: John Arvanitis, BCom’93, founder and president of Most Favoured Network; Chuck Dickison, owner of St. Lawrence Pools; David Scrymgeour, adjunct professor and executive-in-residence at Rotman School of Management and advisor with MaRS Discovery District; and JP Shearer, associate director of the Queen’s Centre for Business Venturing at Smith School of Business.